With the World Series over, teams are now free to start making offseason transactions. The White Sox made a couple of minor moves Monday, claiming outfielder J.B. Shuck off waivers from the Cleveland Indians and reinstating relief pitcher Nate Jones from the 60-day disabled list. 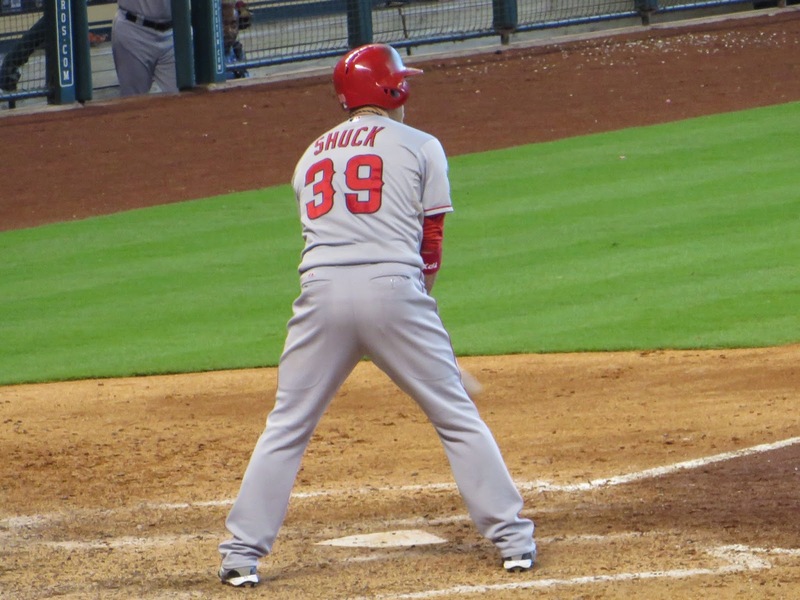 Shuck finished fifth in the American League Rookie of the Year voting in 2013, when he posted a .293/.331/.366 slash line in 478 plate appearances with the Los Angeles Angels. Injuries to other players opened the door for Shuck to play 129 games that season, and he did pretty well with the opportunity. However, 2014 was a different story for the 27-year-old outfielder. He hit .167/.195/.250 for the Angels in April and was sent back to Triple-A, where he stayed until August. Just before the non-waiver trading deadline, he was sent to Cleveland for cash considerations. Shuck had a miserable time with the Tribe, going 2 for 26 in September. He ended up hitting just .145 in 110 at-bats in the majors for the season. He did, however, bat .320 in 102 minor league games, so perhaps the Sox saw some signs he could regain his 2013 form. He is a left-handed hitter and can play all three outfield spots competently. Obviously, this isn't the kind of pickup that will excite fans. If you look around the Internet, you'll find the meathead fans screaming at the sky, wondering what Sox management is thinking, asking why they would make such a low-impact move. Those folks, as always, need to relax. I'm sure this isn't the biggest move the Sox will make this offseason. It's just the first. I'm sure the club knows it needs more impact talent, and I'm sure they know Shuck doesn't fall into that category. However, while seeking those impact players, it's also important to try to improve your roster around the margins. You want more depth. You want more competition in camp. If you look at the Sox bench last season, for most of the year it consisted of players such as Jordan Danks, Moises Sierra, Leury Garcia, Adrian Nieto and an end-of-career version of Paul Konerko. That's not a good bench, friends. If Shuck in 2015 plays better outfield than Danks or Sierra did in 2014, then this is a good acquisition. Maybe this guy turns out to be the fourth outfielder the Sox need. Or, maybe he stinks, in which case he'll be spending the season in Charlotte. However, there's little for the Sox to lose in picking up guys like Shuck. As for Jones, he's expected to miss most -- if not all -- of 2015 after Tommy John surgery. I wouldn't expect much production from him until 2016.